The Vienna Tourist Board carried out its most extensive survey to date of attitudes to tourism among Vienna's residents - with highly satisfactory results. The representative survey of more than 2,000 Viennese was carried out in 2016 in months with both a weaker and a stronger influx of visitors. It shows that the positive attitude of the Viennese to tourism has not changed significantly compared to previous studies, although the number of bednights has been rising continuously. 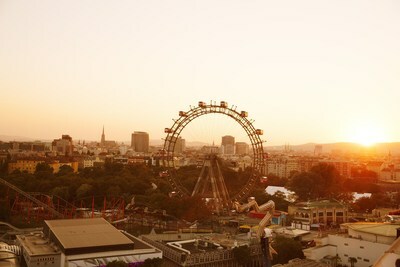 90% of Viennese believe that the city, its residents, and its businesses all benefit from tourism. 88% of respondents single out trade fairs and congresses as a critical success factor in tourism. 82% answer the question of whether their everyday lives are disrupted by tourists with no. The vast majority of respondents (89%) confirm that tourism is an important economic factor for Vienna. The Viennese do not currently regard renting out private apartments to visitors as a serious problem: 59% of respondents say they are not bothered if private apartments in the vicinity of their homes are rented out, though this does represent a problem for 15%. 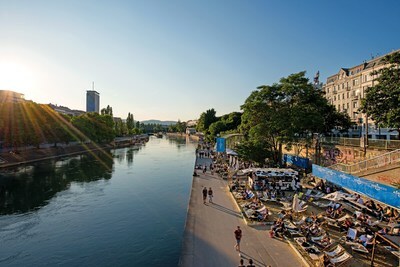 "The information campaign by the City of Vienna on the rights and duties of accommodation providers and the legal obligation of landlords and web platforms to register addresses and contact details came at a provident time," says Vienna's Director of Tourism Norbert Kettner. The Vienna Tourist Board continuously monitors attitudes to tourism in order to be able to react rapidly to developments. It is currently also financing a PhD degree course on tourism sustainability in cities. "The results will enable Vienna and other European metropolises to develop innovative strategies," Kettner explains.